At the end of each weekend in Collegetown, just outside of Cornell University, trash is overflowing from trash cans, with coffee cups and drinks sitting on the curb along College Avenue. Although there were supposed to be a few cans designated for recycling, they are not marked as such, and therefore become filled with trash. The visible waste produced by residents and businesses of Collegetown is not a positive image for the Cornell community and contributes to residents’ apathy for the cleanliness of the area. 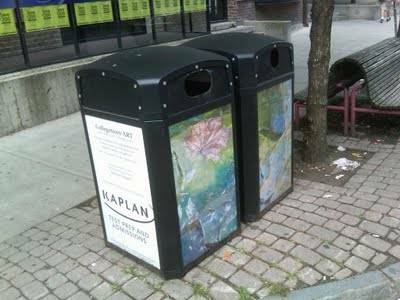 Our group, the Sustainability Hub, came up with a creative idea to solve the problem of trash overflow in Collegetown while inspiring community members and creating an aesthetic environment at the same time. 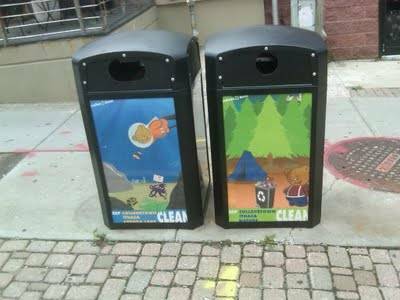 We planned to purchase new cans (trash and recycling) for several locations on the sidewalks of Collegetown, and host an art contest to decorate the cans. 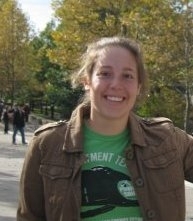 The contest was open to all people that live and work in the Ithaca, NY, community. We called our project CollegetownART (Art, Recycling, and Trash cans). It took approximately a year to obtain the necessary permission from the city government to replace the cans, and involved so many departments and individuals we could hardly keep track. For example, the Board of Public Works needed to approve the pickups, while the Public Art Commission needed to approve the art that would be displayed on the cans. Even once we secured permission to go through with our project, we had an uphill fundraising battle ahead of us. Each can cost about $800, and we planned to purchase 8 of them, 4 for trash and 4 for recycling, plus printing the artwork cost another $1200. That’s when where our Community Catalyst Fund grant came in. With $1500 from the Community Catalyst Fund, plus money from another grant, we decided to leverage business sponsorships. Business sponsors would have their logo appear on the side of the can along with the artists’ name. Kaplan Test Prep agreed to donate $1500, and many other businesses helped out with smaller amounts. The art contest was run during the spring of 2010, and was a tremendous success. We had 11 artists submit over 30 pieces of artwork, of which we planned to choose 20. We put together a panel of students, community members, and local government leaders to judge the pieces and held a reception to recognize the winners. Over the summer of 2010, we were able to purchase and install four cans, along with 10 individual pieces of artwork! There is still some money to be raised to reach our ultimate goal of adding four more cans, but we’re optimistic. In fact, the Ithaca Reuse Center recently said they were interested in sponsoring a can, which would bring us close to our final fundraising goal. We also plan to run an educational campaign to help educate Collegetown residents on how to recycle properly, and thus influence their habits for life. This entry was posted on January 26, 2011 at 2:58 pm and is filed under Campus Climate Action, Climate, climate change, Community Action, environment, Fundraising, Global Warming, Recycling, student climate action, Uncategorized, waste. You can subscribe via RSS 2.0 feed to this post's comments.